I did find some mixed reviews about the food and selection of draught, but I still think Sunday brunch for 2 for $15 is worth checking out. 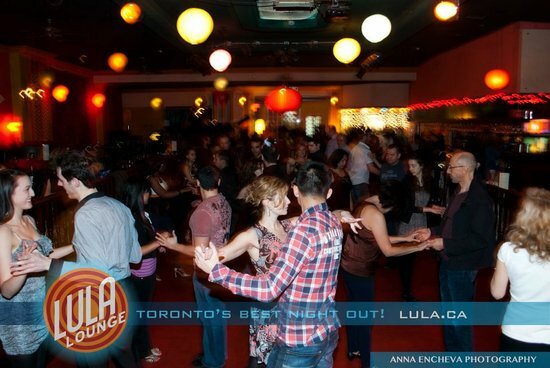 The Toronto Star says Lula is the city’s “Latin music headquarters” — hit the dance floor and work off brunch with a free salsa lesson taught to live music. I recommend checking their site as the bands are different every week, Weekends are for Latin dancing, anything goes other nights, I once went to Goth night it was a perfect venue with candles and chandeliers. I have many fond memories of nights out, exotic music, drinking too much and dancing all night long, my friends and I have celebrated our birthdays here many times. I keep coming back cause I’m always sure to have a good time at Lula!